Andy Duncan finally left Springhirsch POW camp on 15 December 1918. 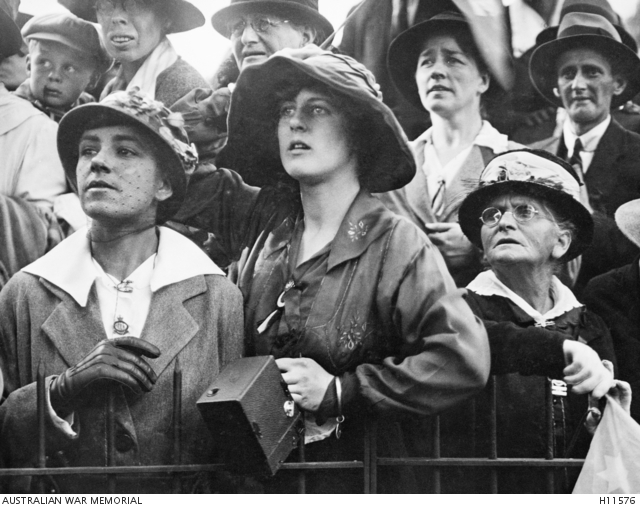 It had been five long weeks since the Armistice was signed. The men paraded at 8:30am ready to march to the train station, but there was no move out due some difficulty with the train. They were told to parade again in the afternoon, that there might be a train at 5pm. Marching orders came at 4pm and the men set out eagerly. A large crowd of local women and children had gathered at the camp gates, hoping for a farewell hand-out of biscuits and food parcels. The men obliged as best they could. Arriving at the station they met further delay: there was no train. How did Andy feel, confronted with another day of false starts? How did he manage the anxious and desperate men in his charge? The train finally arrived. 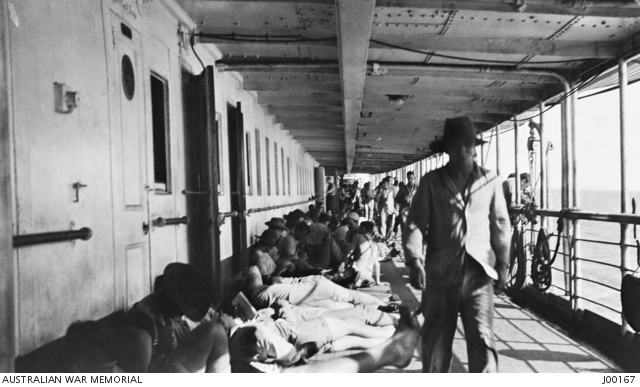 At 7pm the ex-POWs were loaded onto trucks for an uncomfortable overnight trip to the port of Warnemünde on the Baltic Sea. From Warnemünde they sailed for Aarhus in Denmark. It was a good voyage on calm seas, with plenty of food to eat. On 17 December the men arrived in Aarhus to cheering and songs of welcome from the locals. As the ships for transport to England had not yet arrived, the men entrained and travelled to Viborg and the Hald lazaret (hospital camp). Ironically, after being freed from Springhirsch they were confined initially to the hospital, quarantined due to the 1918 influenza epidemic. Andy stayed at Hald for 6 days. At about 7am on 23 December he left Hald and entrained again for the trip back to Aarhus. 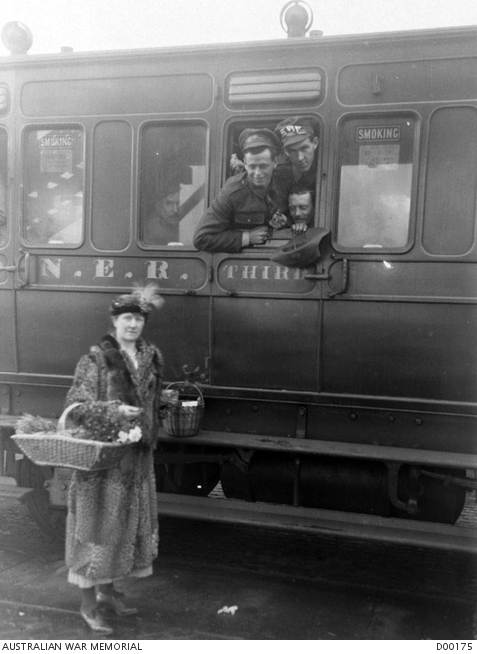 A large number of locals turned out at Viborg station to farewell the men, giving them cigarettes. At Aarhus Andy boarded the S.S. Primula. Mid-morning the ship set sail for England, cautiously navigating its way through the Baltic Sea minefields. This time the sea was rough, and a number of men spent the voyage with their heads in buckets. As the Primula passed the coast of Norway the men were given a medical inspection and clothes. Late on Christmas night the ship arrived at the Firth of Forth and the following morning Andy disembarked at Leith. ‘Henry Thomas Fowler (1882-1947) – a Life’. [ONLINE] Available at: http://www.thedanishscheme.co.uk [Accessed 06 April 2014]. Jones, M.A. 2009. The Danish Scheme: The repatriation of British Prisoners of War through Denmark at the end of the First World War. MA dissertation, University of Birmingham. ‘Marauders of the Sea, German Armed Merchant Raiders During World War I’. Ahoy – Mac’s Web Log [Accessed 09 June 2013]. ‘POW’s and repatriation’. Great War Forum. [Accessed 09 June 2013]. 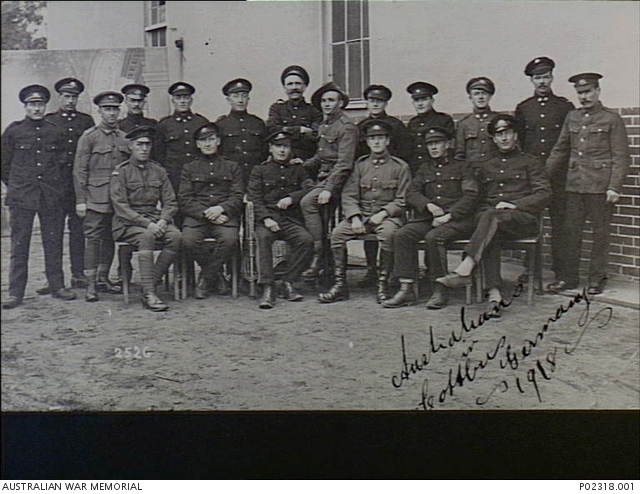 In early November 1918 German revolutionary soldiers beneath a red flag visited Springhirsch POW camp. They threw the gates open and invited the prisoners to leave. The Regimental Sergeant Majors in the camp visited the bunkhouses and reminded the men that the war was not yet finished and it was not safe outside the wire. 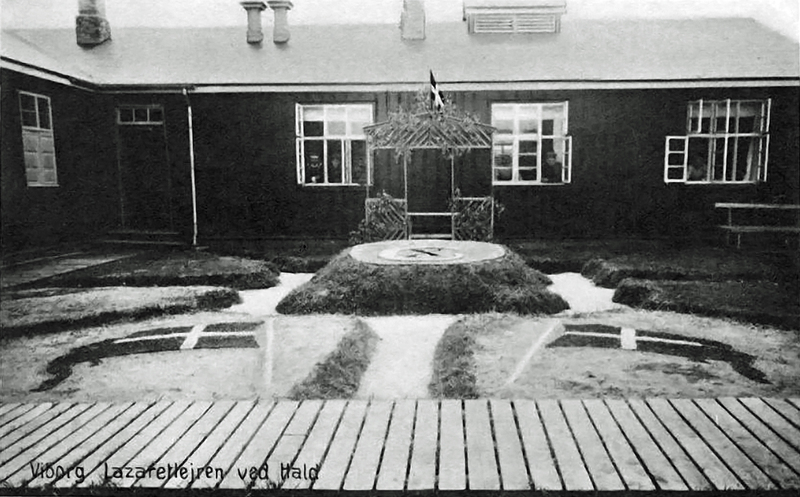 In the event of the German guards leaving the camp, the men were to remain in the compound. On 8 November confirmation came that the armistice had been signed. The Regimental Sergeant Majors’ prediction came to pass: the sentries disappeared and one of the German officers shot himself. All prisoners in the punishment cells were released. There was no restriction on the men’s movements, and no lights-out. Soon the only parades were head-counts. Exercise drills ceased but football games were played daily. Camp concerts, cancelled previously by the Commandant in a fit of pique, began again. The band played The King publicly for the first time. The men sang, no doubt boisterously and to the discomfort of the remaining German soldiers. On 11 November the men had the terms of the armistice read to them. Rumours were soon circulating that the men would be marching out, two companies at a time, for Holland and a ship back to Blighty. The concert held on 17 November was the last, as the men expected to move out within the week. There were rumours of ships waiting in Hamburg harbour to transport the POWs home. In anticipation of leaving the camp, food rations were dispersed more liberally. The commissary stores were being run down; men were less frugal with the contents of their Red Cross parcels. Then word came that there would be no move out until the end of November. This caused unrest in the camp. Some NCOs absconded. Rumour had it that these men were arrested in Hamburg, attempting to stow away on ships bringing food into Germany. On 30 November British officers visited the camp and addressed the men at the request of the camp commandant. The men were told to be patient, that every effort was being made to return them to England as soon as possible. Did Andy Duncan step outside the camp while waiting for orders to move out? Other POWs did, enjoying a kind of freedom by exploring the nearby towns and villages of Kaltenkirchen, Lentföhrden and Barmstedt. A lot of the men go to Hamburg; they get the money by selling soap, cocoa, tea, etc. On 8 December Andy would have learned of a planned move out in the next ten days. After all the rumours and false starts would this really be his last week in Springhirsch camp? Hansen, F. 1921. An open letter to an English officer and incidentally to the English people. 4th ed. Hamburg, Germany: Overseas Publishing Co. Featured image: END OF THE WAR. GERMANY SIGNS ARMISTICE. (1918, 12 November) Barrier Miner (Broken Hill, NSW), p. 2. Newspaper article found in Trove and reproduced courtesy of the National Library of Australia. While prisoners held deep inside Germany may not have had any indication that the war was coming to an end, the Springhirsch men heard rumours regularly. Prisoner arrivals, visiting priests, newspapers stolen while on fatigues to the train station, and a friendly German guard all provided the men with scuttlebutt about the progress of the war. When Andy Duncan arrived at Springhirsch in August 1918 new rumours were being whispered almost weekly. By the start of October war news was coming in with increasing speed and accuracy. The men were trying not to get their hopes up. We heard very good news today, if it’s all true. The Allies have captured the whole of the Belgian coast […] Germany has asked for an armistice as they are beaten. On 1 November a German guard told the prisoners that the war would be over “for sure” within the month. It was not long before the prison guards formed a revolutionary Soldiers Council and assumed joint control of the camp with the commandant. It is tempting to think that Warrant Officer Matz is the camp interpreter who was a key antagonist of the prisoners. The signs were that the war would be over any day, but when would the news come, and how would the men get home?